Being Bilingual Is Good for Your Brain | So, You Think You Can Teach ESL? 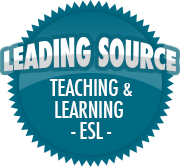 ← What kind of language learner are you? I think it is important to learn another language. What do you think? In an interview with the New York Times, Bialystok shared that she’s found that people who are bilingual are “using a different kind of network… Their whole brain appears to rewire because of bilingualism.” And, that rewiring gives bilinguals an advantage. They’re better at multitasking because their brains are used to having to concentrate while switching back and forth between two languages. Bilinguals kids are also better at determining if a sentence is grammatically correct and they perform better on written tests.